Every year when he walks out onto the field of Dodger Stadium to play kickball, Will Hackner tears up. 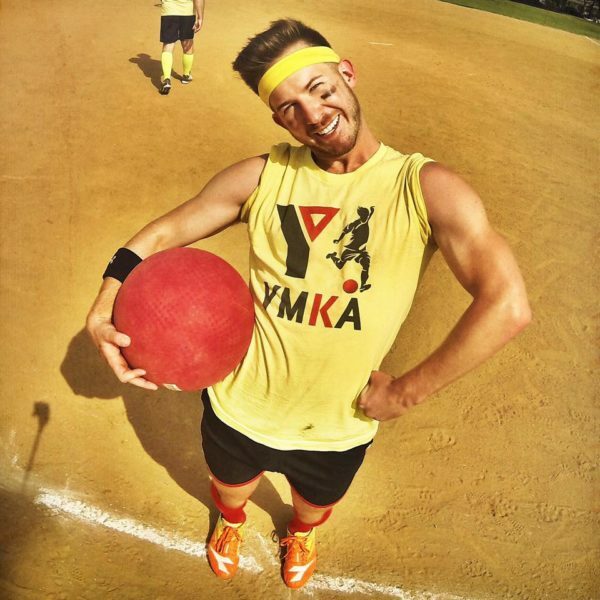 Taking the mound to pitch a game of kickball on the home field to one of the most famous and successful teams in Major League Baseball, is a dreamlike honor and culmination of an unlikely journey for the gay man, once a bullied and un-athletic small kid who loved video games. 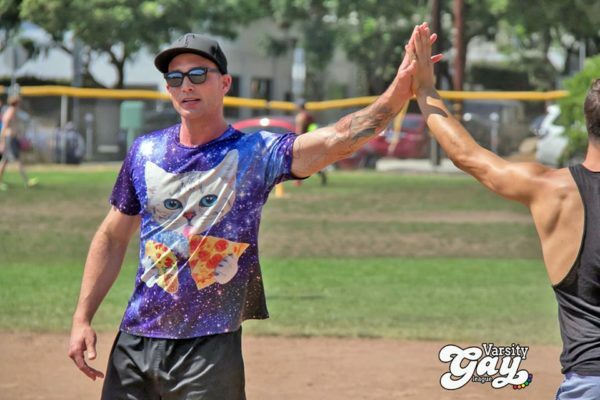 Hackner, who has been called the godfather of gay kickball, founded the national LGBT sports organization Varsity Gay League, which provides sports and recreation for the LGBT community, after becoming disillusioned by his job in Hollywood and the West Hollywood bar scene. 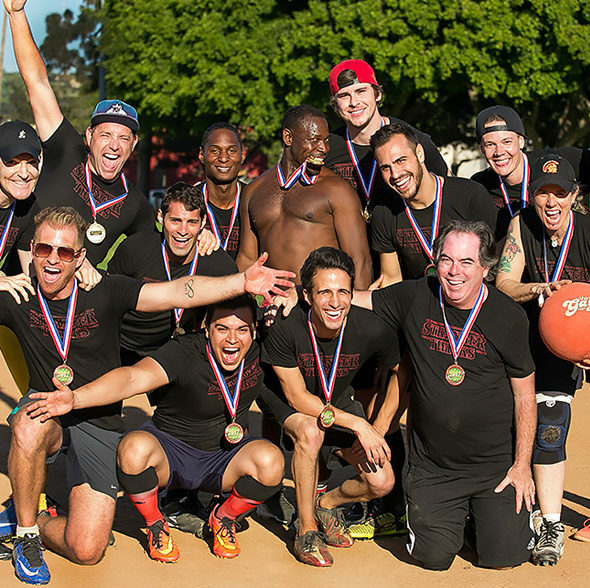 Now in its tenth year and serving ten cities across the U.S., VGL has serviced over 8,000 players across many sports and all experience levels while pioneering a kickball movement within the LGBT community. With kickball as its anchor sport, the league offers bowling, soccer, tennis, beach volleyball, flag football and dodgeball, among others. The idea for the league started after Hackner and few friends walked into a West Hollywood bar just as they realized how little any of them wanted to be there. Will was exhausted by the monotonous notion of another night whose success depended on matching with the ever-elusive hot guy essential for a happy ending. On a whim, the group went to West Hollywood Park to hang out and then began a spontaneous game of tag. They chased each other around the park on the warm summer night while becoming soaked by the sprinklers. Their infectious jubilation recruited strangers passing by to join in on the playful merriment. Will was experiencing a child-like fun that seemed absent from his life. 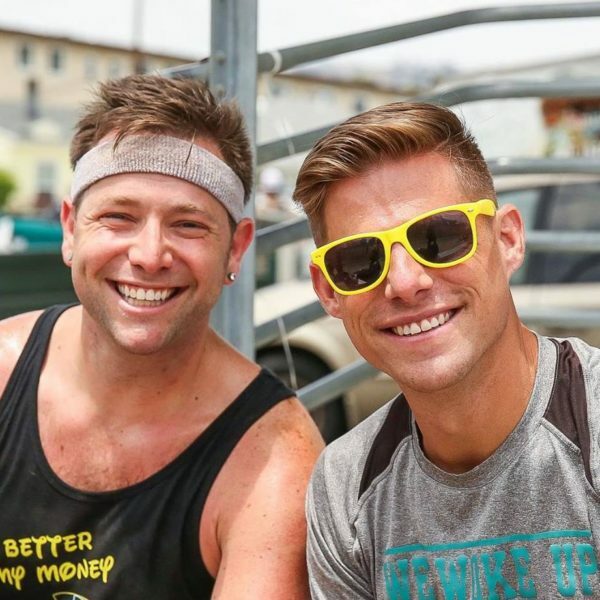 “The experience reminded me that regardless of our age and the values our community perpetuates – like having to be one of the cool guys at the party with the great bodies to matter – you can be yourself and have fun,” Hackner said. 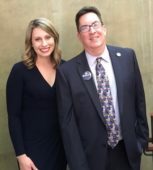 From that moment, Hackner was emboldened to create a way for people to connect and have fun. Varsity Gay League was an organic evolution of that idea, a way for Hackner to play games and get out of the house; it was not meant to be a business. 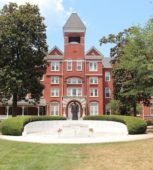 Starting with capture the flag, other sports like kickball and paintball, and activities like an Easter Egg hunt, soon followed. Through sports, friendships began to form and those friendships created community. In 2012, Hackner, who had been working as a creative producer for companies like DC Entertainment and Spinmaster, experienced two layoffs in as many years. 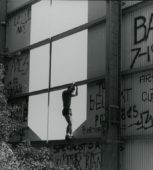 Hackner decided to take ownership of his life and no longer work at the wavering mercy of others who may or may not share his creative vision. VGL became his business, which in a twist of fate fulfilled his original purpose for working in Hollywood – to entertain and connect with others. 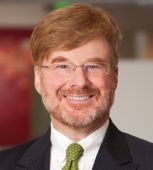 Hackner sees this cultural shift slowly envelop each city VGL serves. The league isn’t homogenized and segregated like much of the gay community. People begin to form friendships with someone unexpected. With sports as a uniting activity, no longer are people only connected by having a similar appearance or social status. Hackner believes VGL helps to destroy the superficial social barriers and misrepresentations that for so long segregated the community. VGL was a gateway into a community that league member Clayton Grey didn’t know existed, much less that he had the athletic skills to be welcomed in. The league community is about more than athletic ability, it about finding a family-like group that allows each person to have the security to grow and try something new. When kickball lover Michael Shutt had three strokes that left him mostly blind and paralyzed on his left side, he spent nine months recovering, which left him feeling isolated. 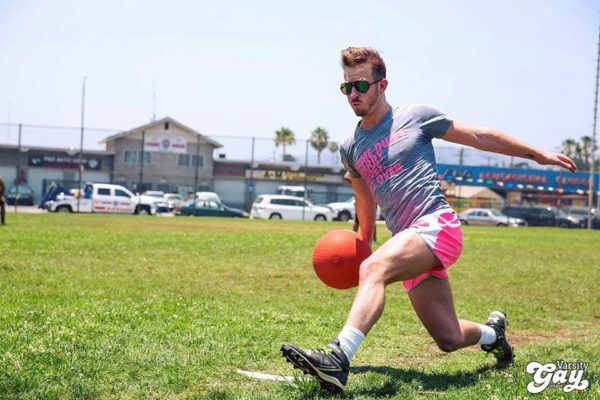 Wanting to be involved in the community as he continued to recover, he signed up to be a captain of a draft league kickball team. 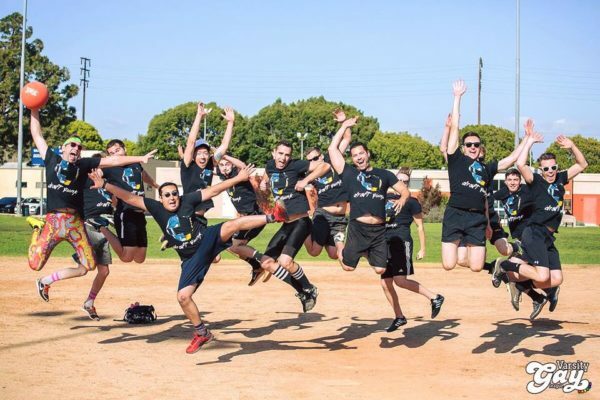 Generally, VGL kickball teams are self-formed and players without a team are assigned a team by league managers with the exception of draft league, which occurs once yearly. Draft league teams are formed by captains who draft players based on skill level observed during a day of scrimmages. Shutt, who is experienced at kickball but has partial vision, chose a co-captain who has perfect vision but was inexperienced at kickball. The pair drafted a team based on Shutt’s observation of the player’s energy and movement, with his co-captain identifying the player impressing Shutt. Amazingly, their team won the season championship. For Shutt, the season was about so much more than winning. 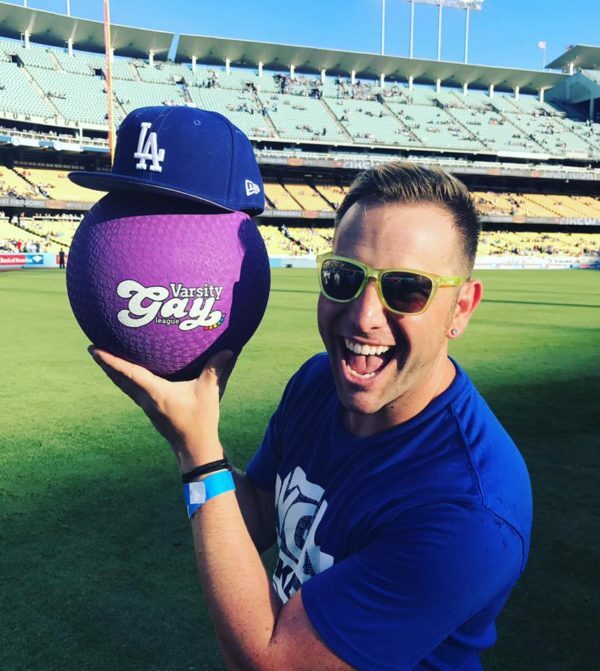 Varsity Gay League became the first organization to be allowed to play kickball at Dodger Stadium through its annual sponsorship of the Dodgers’ LGBT night three years ago. 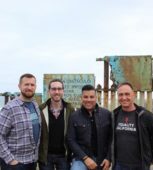 VGL continues to expand its corporate and charitable partnerships, celebrating its first year of partnership with the San Francisco Giants this year.